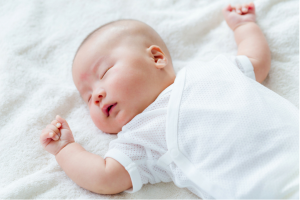 A New Baby and the Impact on Your Taxes (for the better)! Home » Account On Us » A New Baby and the Impact on Your Taxes (for the better)! The birth of a child can be a life-changing experience. It can also have an effect on your taxes. With all the changes a child brings, you will want to be sure you are keeping up-to-date with your tax info. When a child is born, you will want to make sure you get a social security number for him/her so that you can claim them on your taxes. Failing to report a dependent’s social security number can result in a fine, and tie up your return. Request your child’s social security card at the hospital when you apply for the birth certificate to save yourself some time and hassle. Be sure to check your withholding status at work. Most people should be able to cut back what they are withholding once they add in a child. You may also check your filing status as single parents may qualify to file as “head of household”, instead of “single”. No matter when your child was born, or adopted, as long as it falls in the tax year, you can claim them as a dependent. And, you will get the full year’s worth of the exemption. Some other bonuses to adding a child to your life: you may be legible for a child care credit or an adoption credit (if you adopted your child). There can be many benefits to adding a child to your life, and it can help with your taxes. If you have questions about how filing your taxes will change for you and your new family, contact Account On Us.